Vesuvius and the city of Naples, Italy. 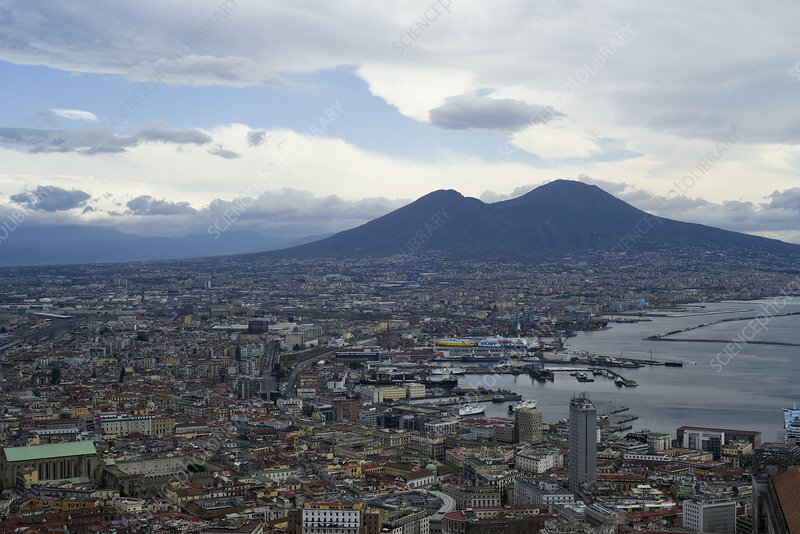 Naples is located on the shores of the Bay of Naples, with this view dominated by the volcano Mount Vesuvius (1281 metres). This stratovolcano has erupted numerous times, the most famous being the eruption of 79 AD that destroyed the Roman towns of Pompeii and Herculaneum. Today, it is one of the most dangerous volcanoes in the world because some three million people live in its densely populated surroundings. Photographed in March 2017.